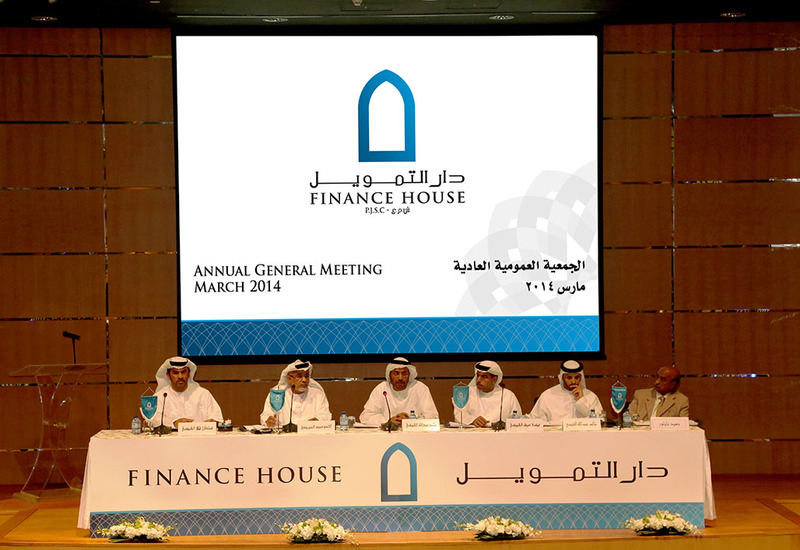 Abu Dhabi – March 15, 2014 – Finance House P.J.S.C (FH) shareholders approved the payout of a cash dividend of 25% for the year ended 31 December 2013, at its Annual General Meeting, subject to obtaining necessary regulatory approvals. For the year ended 31 December 2013, FH recorded a Total Comprehensive Income of AED 117.6 million, a whopping 52.3% increase over AED 77.2 million registered in the previous year. Total Assets grew by 10.6% to reach AED 4.12 billion as at 31 December 2013, compared to AED 3.72 billion as at 31 December 2012. Customer Deposits grew by a robust 20.8% to reach AED 2.18 billion as at 31 December 2013 compared to AED 1.80 billion as at 31 December 2012. This is an all-time high and bears testimony to the continued confidence that the market places in Finance House. FH recently secured Investment Grade Corporate Credit Ratings of “BBB-” Long-Term and “A3” Short-Term, both with a “Stable” Outlook from Capital Intelligence (CI), the international credit rating agency. According to CI, “FH’s ratings are supported by a strong capital base, good capital ratios, good liquidity ratios and rising profitability. FH is one of the very few private sector entities in the GCC to have secured an investment grade rating from a reputed international credit rating agency. “We enter 2014 with a strong capital base, robust & proven business model, clearly defined implementation strategies, diversified portfolio of assets, remarkably stable sources of funding and in pursuit of interesting opportunities thrown up by a rapidly evolving market. In the final analysis, our unwavering focus is on enhancing the strength of Finance House Group and in creating sustained long term value for our shareholders,” concluded Alqubaisi.